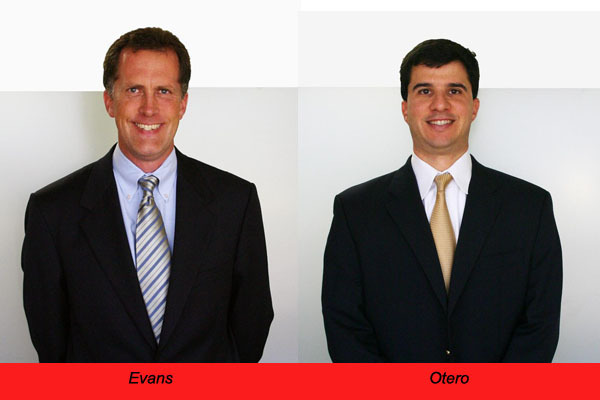 (Jacksonville, Fla.; August 18, 2010) — Crowley is pleased to announce the promotion of Eric Evans and Tony Otero each to the role of vice president, finance & planning, supporting several different business groups. In his new position Eric Evans will support Crowley’s technical services, petroleum services, Alaska petroleum distribution and marine contract services business groups. His responsibilities include accounting, contract administration, budgeting, forecasting, analysis, and strategic planning for these business units, which encompass more than $1 billion in annual revenues and locations on five continents. Evans, a graduate of the Wharton School at the University of Pennsylvania and a certified public accountant (CPA), started his career as an accountant at Crowley and has been promoted to positions of increasing responsibility, including manager of management reporting, manager of government services, and director of finance. His duties have included budgeting, forecasting, pricing, contract preparation and review, and various special projects. He served as accounting manager in 1991 in Saudi Arabia during Crowley’s oil spill response effort after Desert Storm, and as administrative manager from 1997 to 1999 in Venezuela while Crowley was under contract with British Petroleum. He received the Thomas Crowley Award, the Company’s highest honor, in 2004. In his new role Tony Otero will support Crowley’s liner and logistics business units. He will be responsible for leading the finance and accounting functions and strategic business planning of the Latin America, Puerto Rico & Caribbean, and logistics business units. These business units account for over $700 million in revenue from operations throughout the United States, Central America, and the Caribbean. A graduate of the University of Florida with a Masters of Accounting and a certified public accountant (CPA), Otero started his career as a senior accountant at Crowley in 1998 after working several years for the accounting firm, Deloitte & Touché. He has held several different positions of increasing responsibility with the company, including accounting manager and finance director. “I am looking forward to helping Crowley build upon its strong history and to be part of a team setting the groundwork for another 100 years of success,” he said.